The Fool in King Lear advised "Speak less than thou knowest" – but it's good the speakers at this year’s Shakespeare in the World lecture series aren’t following his advice. If you’re addicted to knowing all there is to know about "The Bard of Avon", fix your eyeballs on this blog post advertising some of these thought-provoking lectures giving a new window on his genius. Back on October 10, Jim Casey, Associate Professor of English at Arcadia University in Philadelphia, presented his talk on Shakespeare’s Monsters. We’re not talking Frankenstein – in Shakespeare’s time, a "monster" meant a malformed or flawed child or animal, symbolizing an obscene break with the natural order. He addressed how characters like Richard III, Caliban, and others revealed Shakespeare’s take on the subject, how monstrosity applies to body and soul, and how some cold-blooded monsters are made, not born. Coming up on Wednesday, November 7, Professor Casey returns to explore Shakespeare and Honor – a virtue mentioned a multitudinous nine hundred times in Shakespeare’s works. In the bard’s time, honor wasn’t a catch-all virtue, but had different modes of expressions related to one’s station in society. Prof. Casey will demonstrate how honor applied to Shakespeare’s plays, and explore how it’s addressed in modern stagings. 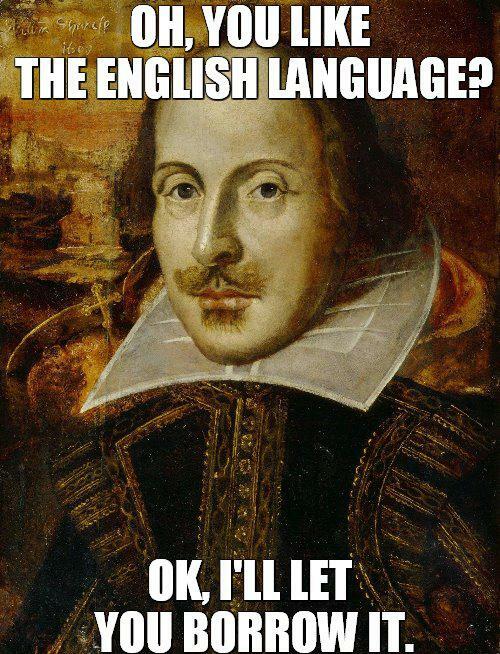 Ah, love – the inspiration for so many of Shakespeare’s most quotable lines, and so much of the courtship-related misunderstandings of his plays. On Wednesday, January 3, 2019, Prof. Casey explores this topic both from Shakespeare’s era’s perspective (hint: did you know love was entwined with death in medieval times?) and our modern take on romance in his lecture Shakespeare and Love. And finally, on Wednesday, March 20, 2019, John Culhane, Distinguished Professor of Law at Delaware Law School of Widener University, cross-examines Shakespeare and the Law, and how a playwright who once had a remorseless character say “First thing we do, let's kill all the lawyers” actually had an impartial and nuanced view on justice, mercy, and the legal culture of his time. Anyway, enough of this rant. Don’t miss the excitement! Come hobnob with other Shakespeare fans at these lectures, all held at the Parkway Central Library. Good news, frugal folks: all lectures are free with advance registration. For more details, visit The Free Library website or The Philadelphia Shakespeare Theatre’s website. 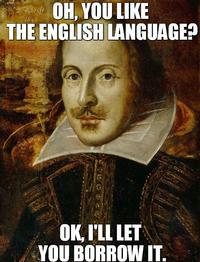 Want to brush up your Shakespeare before attending? We’ve got lots of books and DVDs to borrow! We promise none of them are lackluster.